Merge.NET is a DLL that can be embedded in .NET / C # applications to produce a total PDF or PDF/A file from single PDF or PDF/A files. The features correspond to our EasyMerge application. The order in which the individual files are inserted also specifies the sort order in the total file. 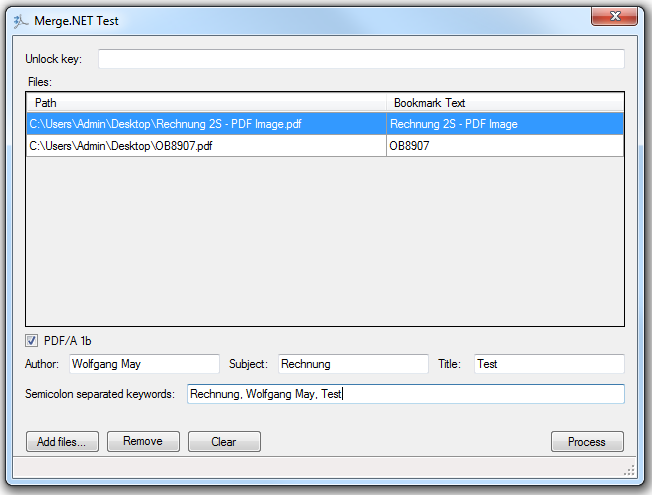 bookmark text can be set for one single file – In the total file bookmarks are automatically generated. Option whether PDF or PDF/A-1b is to be generated. 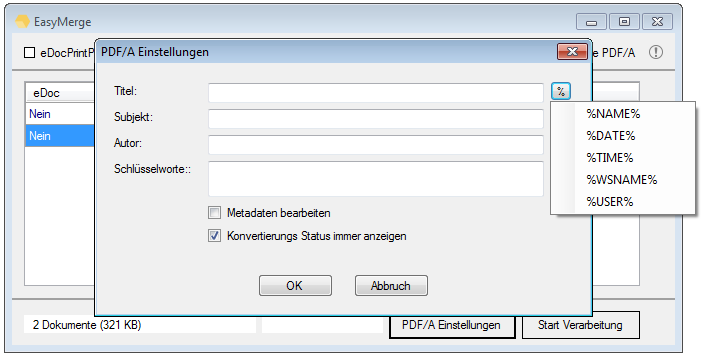 Program protection via activation code – so the generated application can be customized protected – Without activation code demo stamp on the PDF is applied. Royalty-free licensing i.e. the Merge.NET component is licensed once and can then be used in any application, at any number of customers. Program to generate activation codes. The Version 1.5.1 now uses Ghostscript version 9.18.1 and therefore the same basis as the current version 3.23.5 eDocPrintPro. Likewise, the version has been adapted for Terminal Server. A multiple call has been blocked, whereby a simultaneous use by multiple users was not possible. 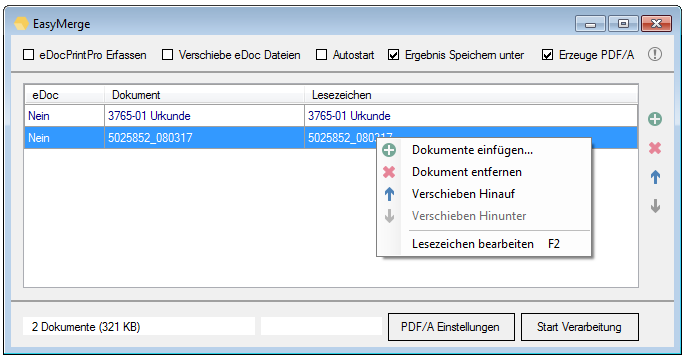 With the version 1.4.0 for the EasyMerge PDF/A conversion the same base routine as with the FileConverterPro is used. With that we reach an even better quality when converting to PDF/A. But the requirement is that either GhostScript or our eDocPrintPro printer-driver is installed before.